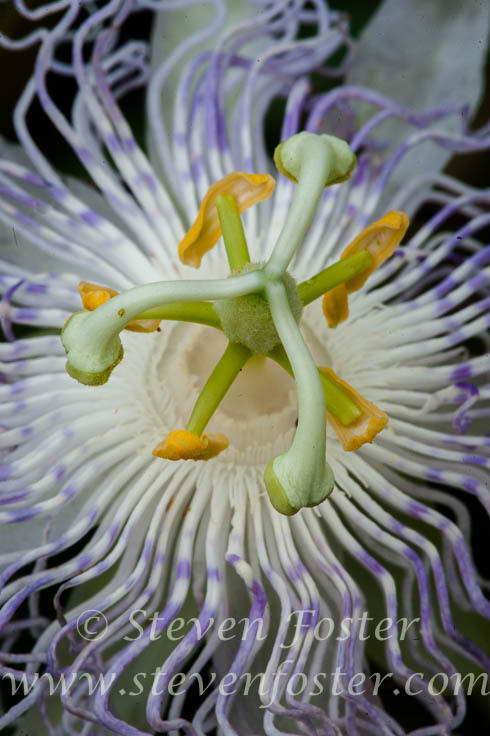 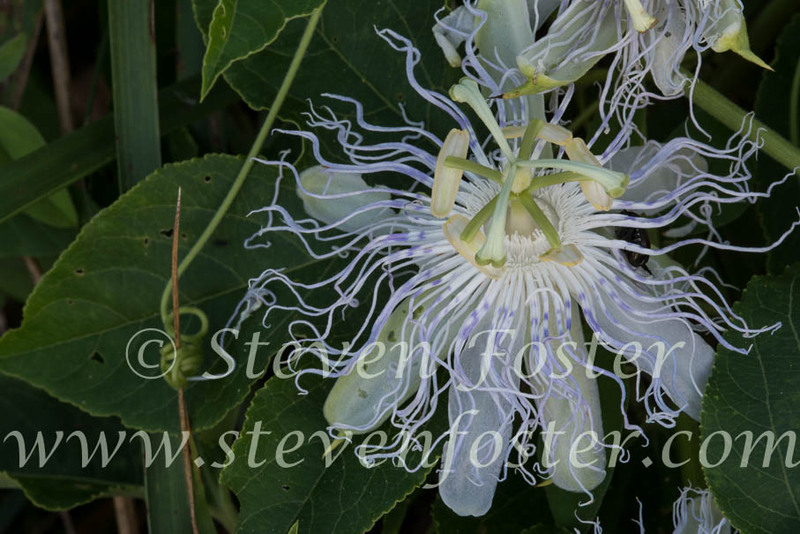 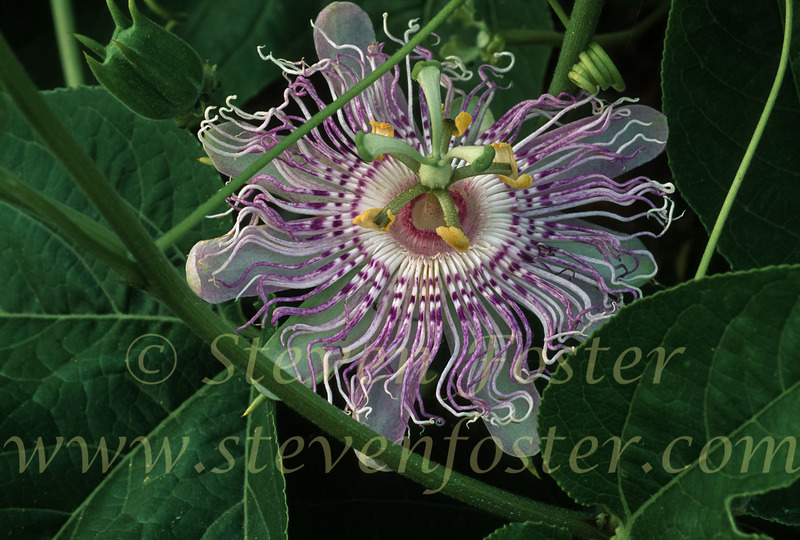 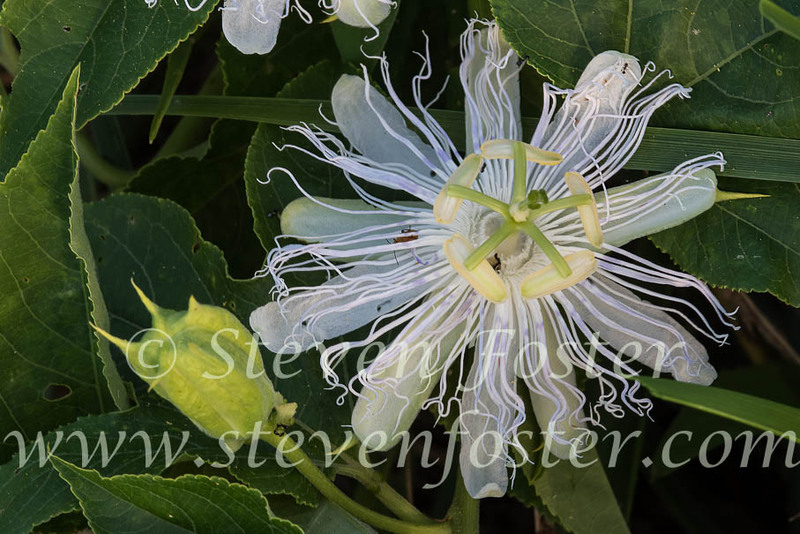 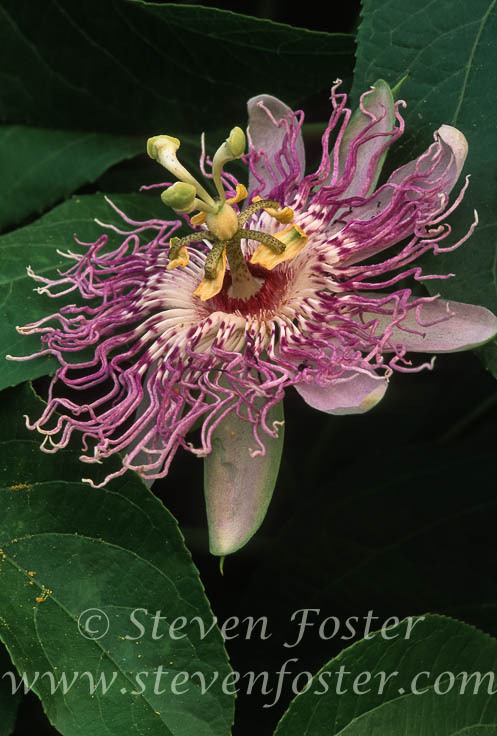 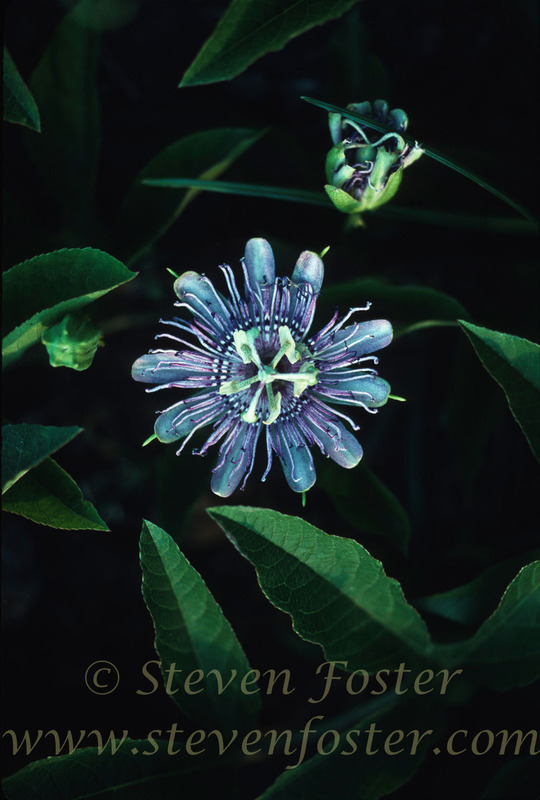 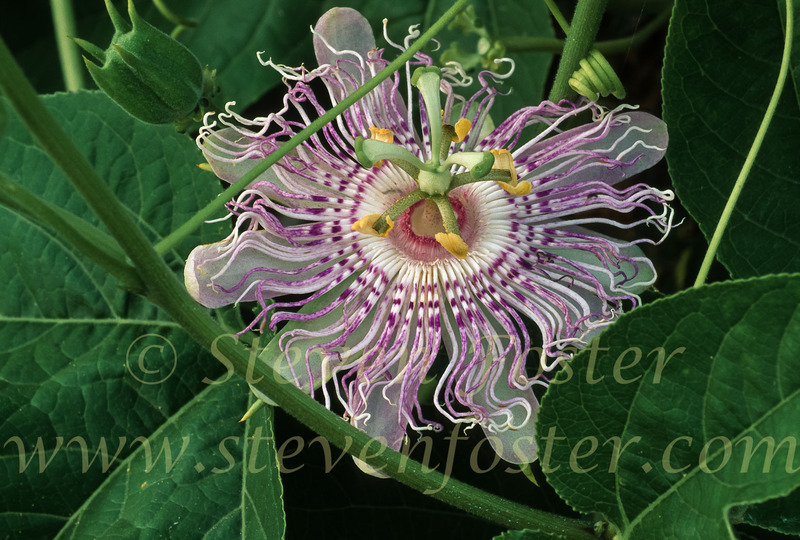 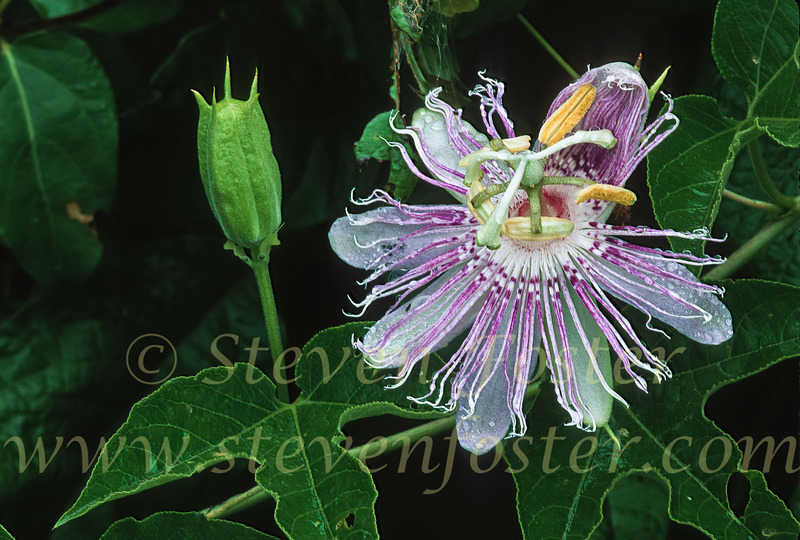 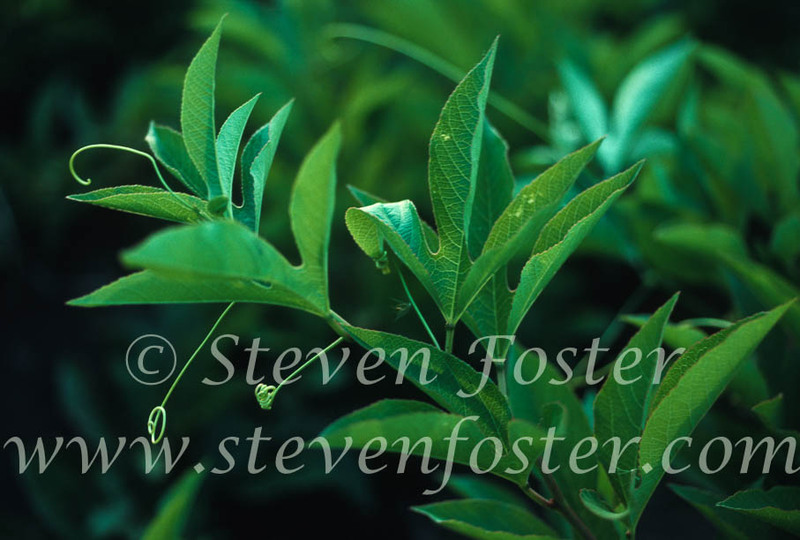 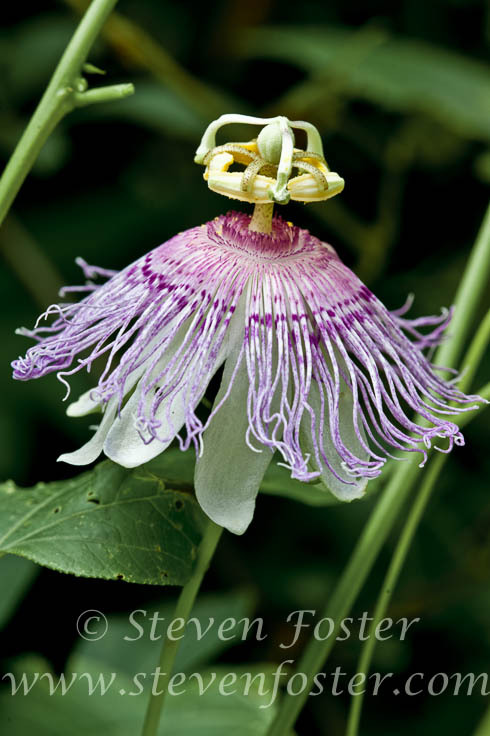 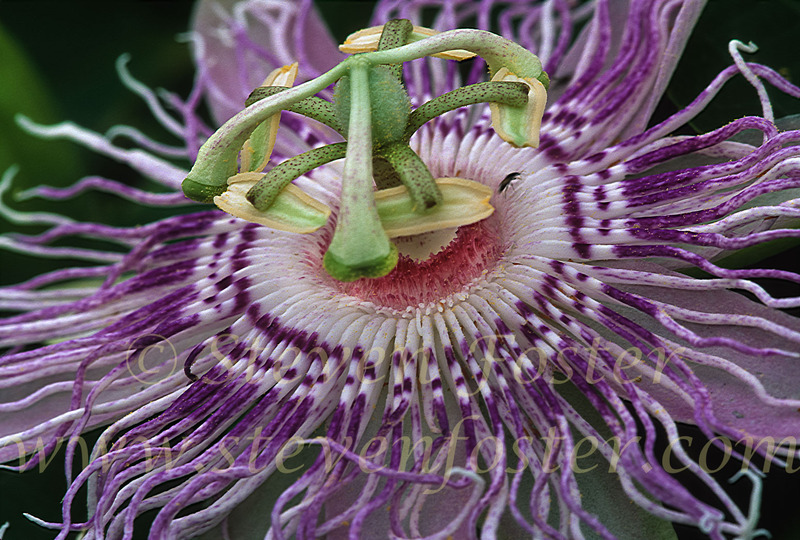 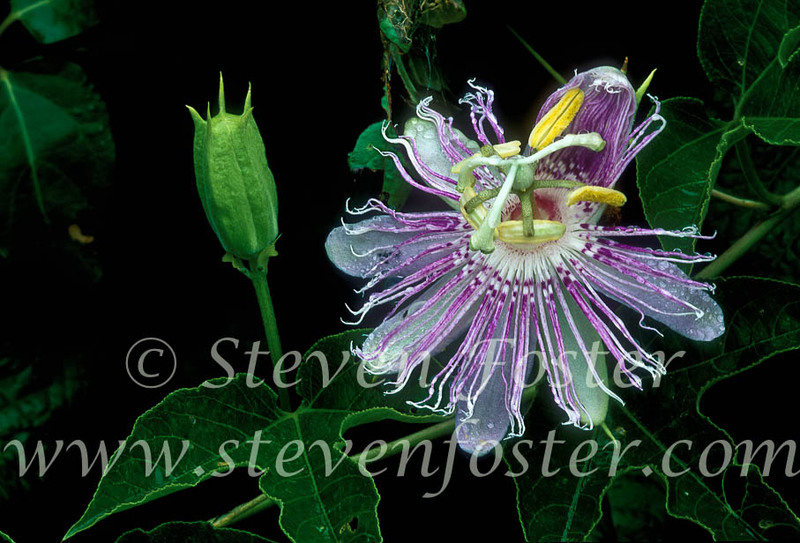 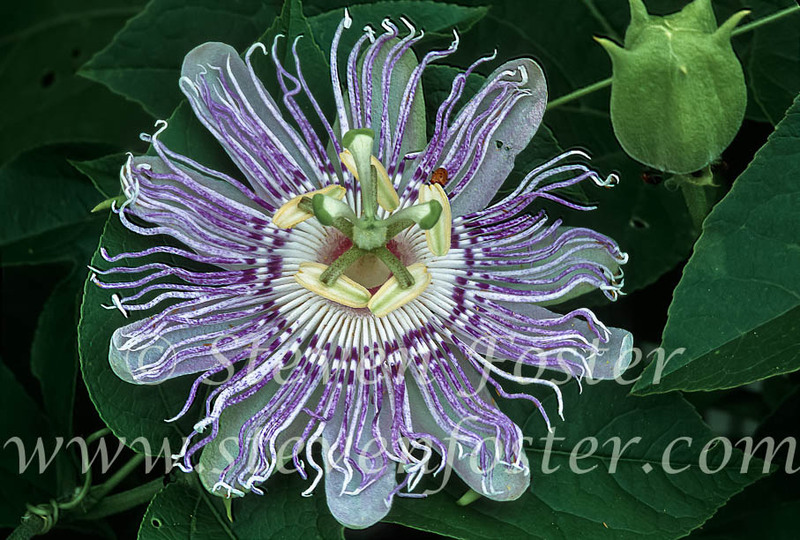 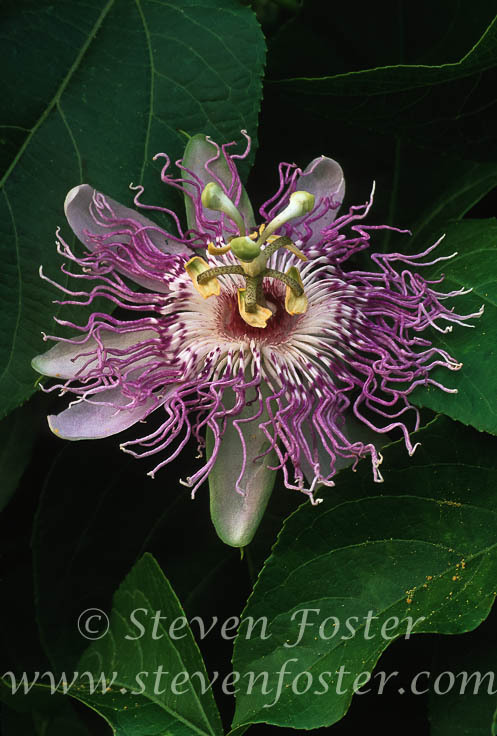 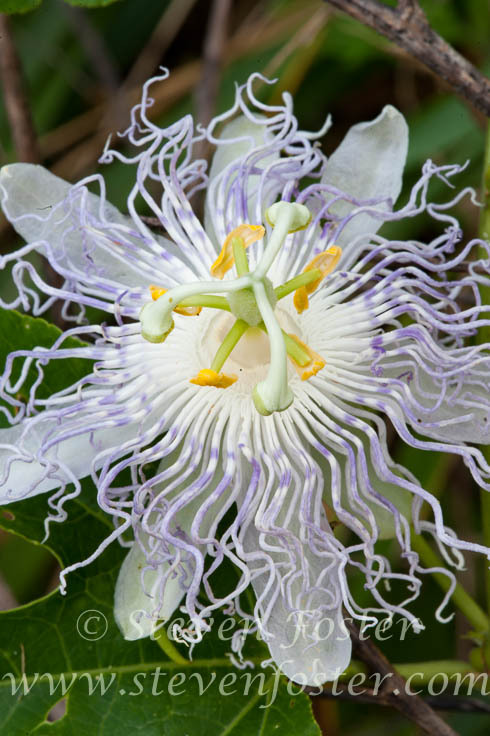 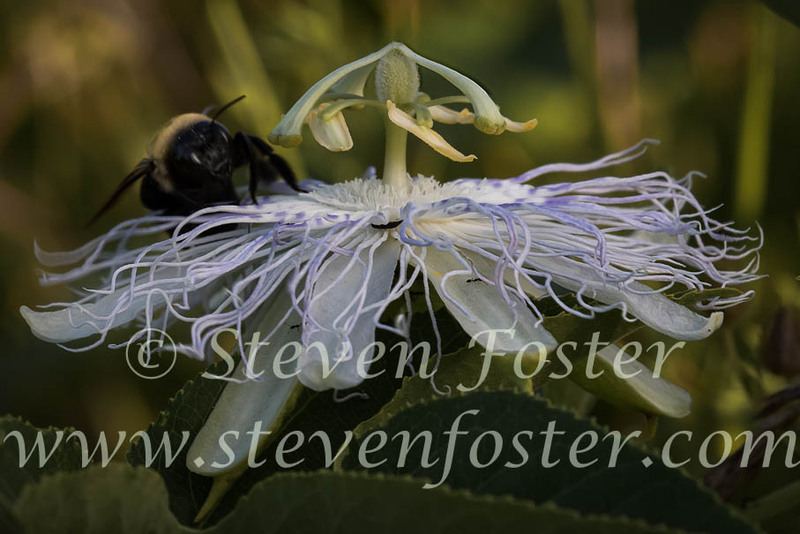 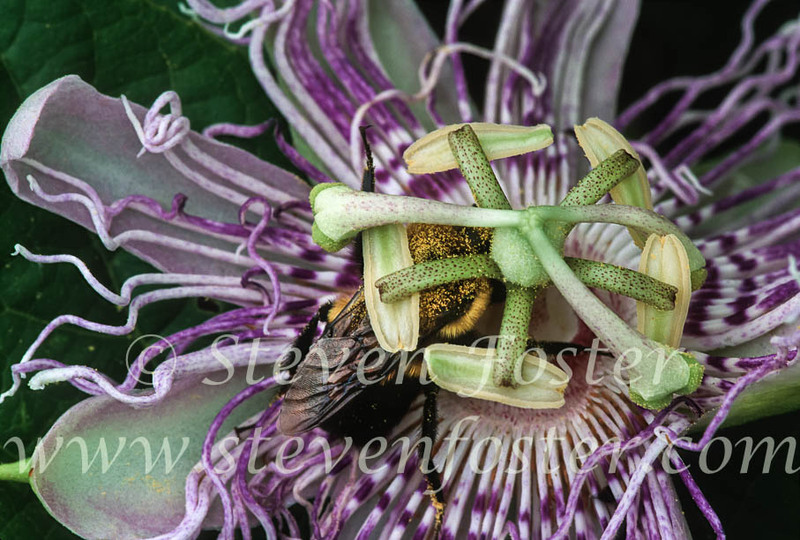 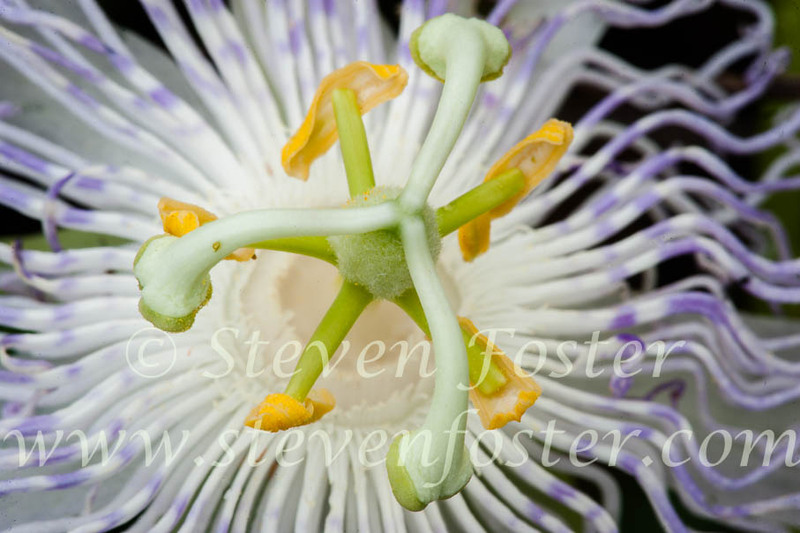 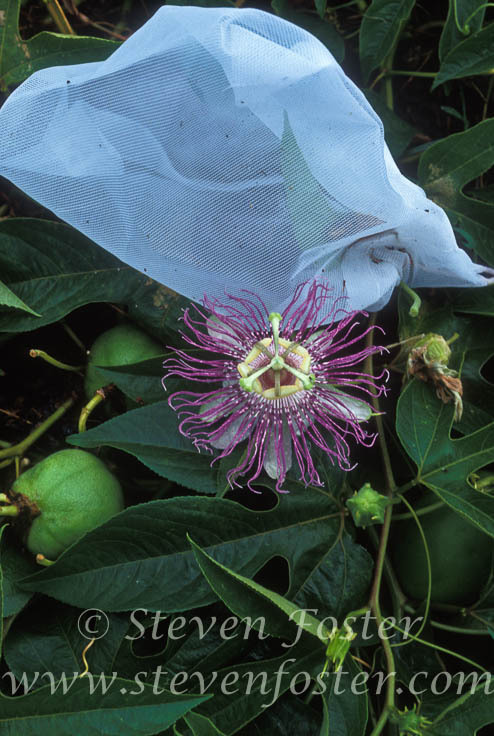 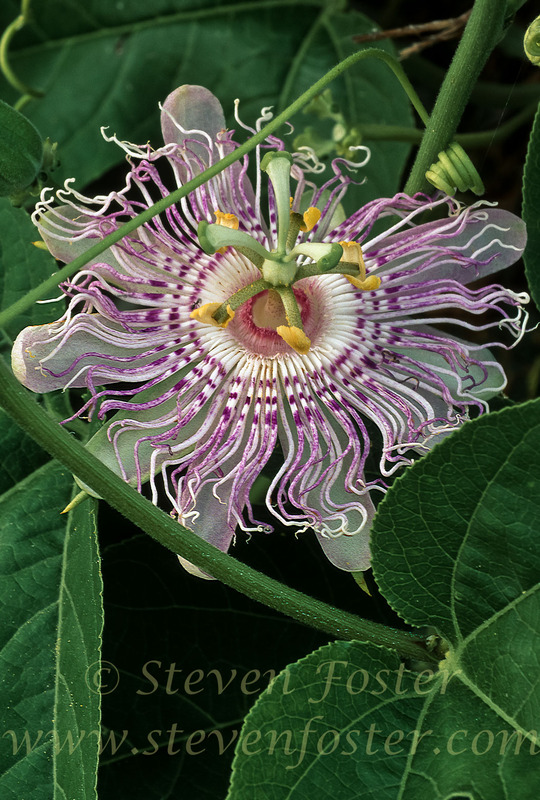 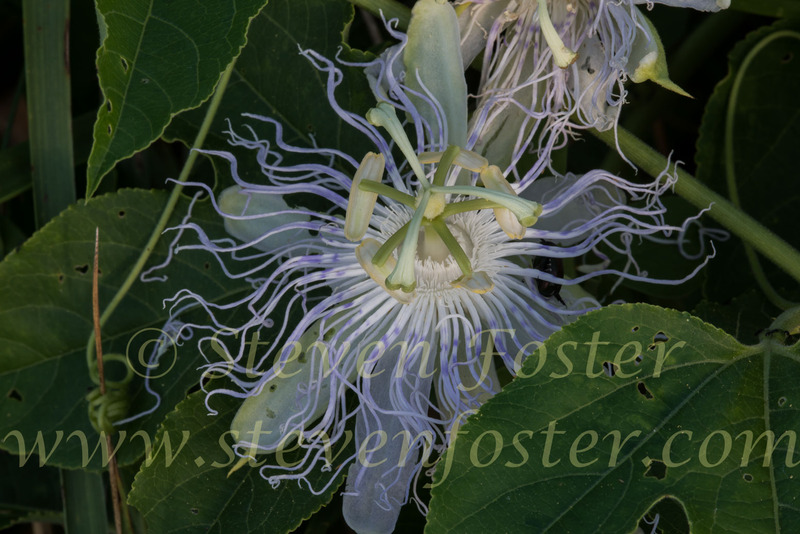 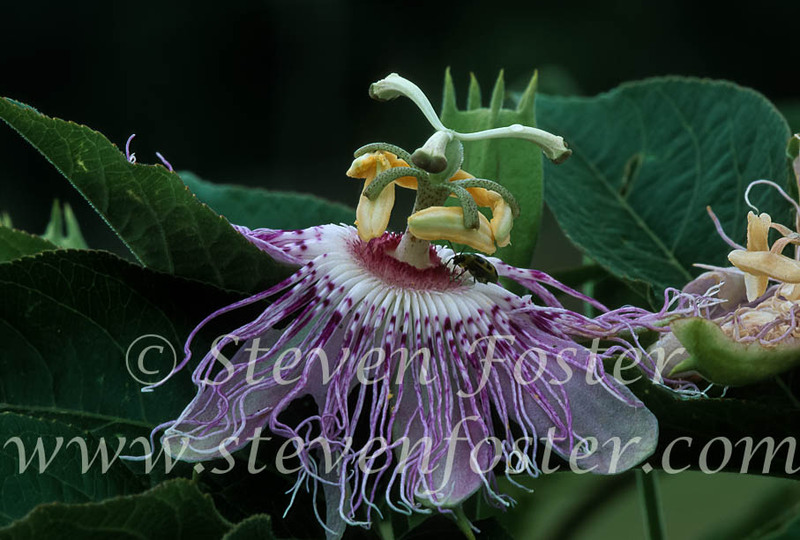 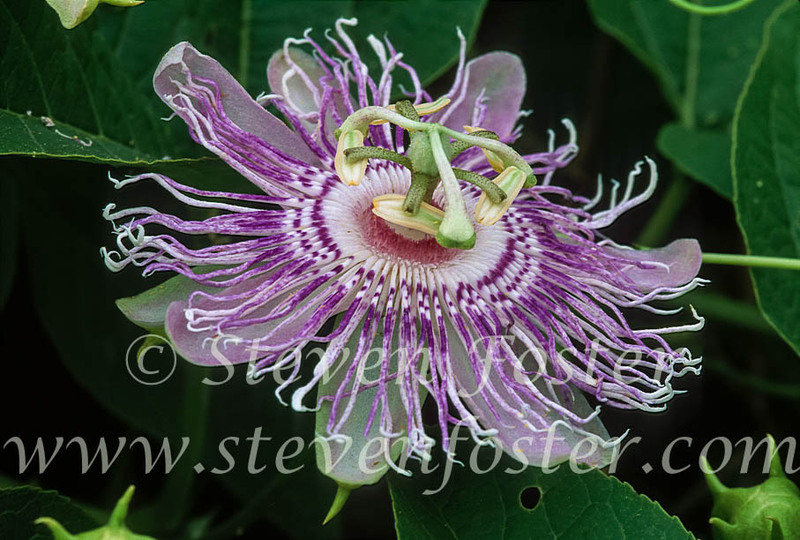 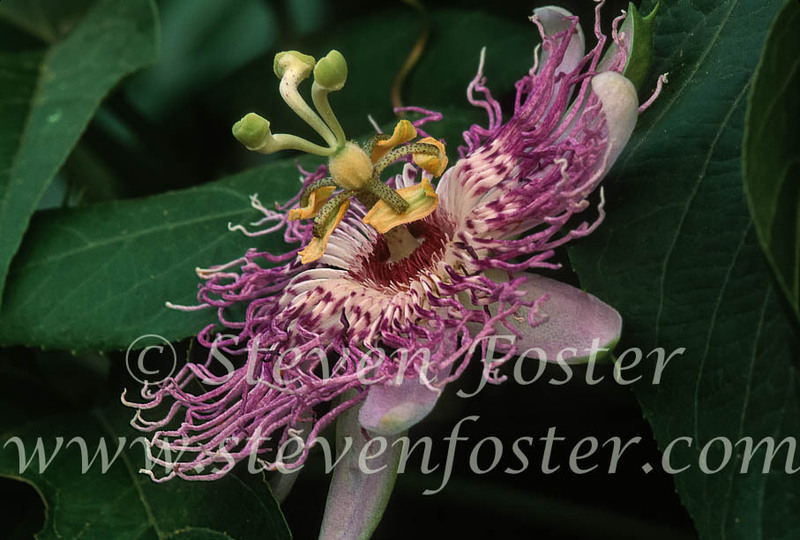 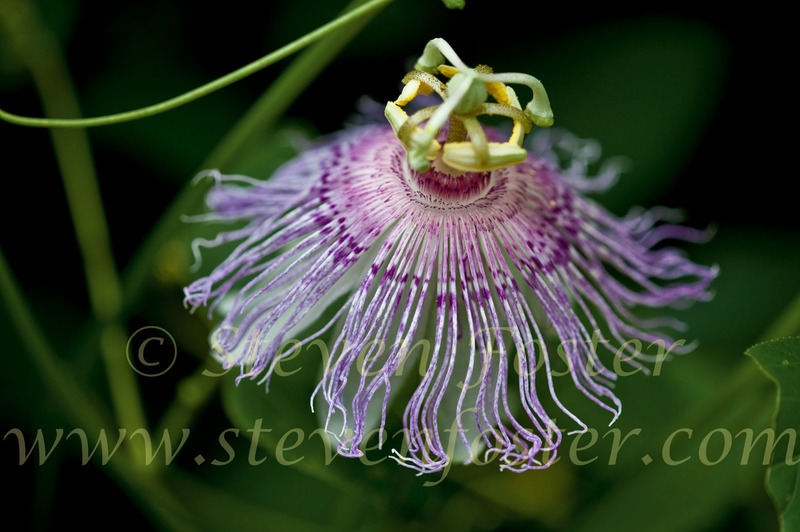 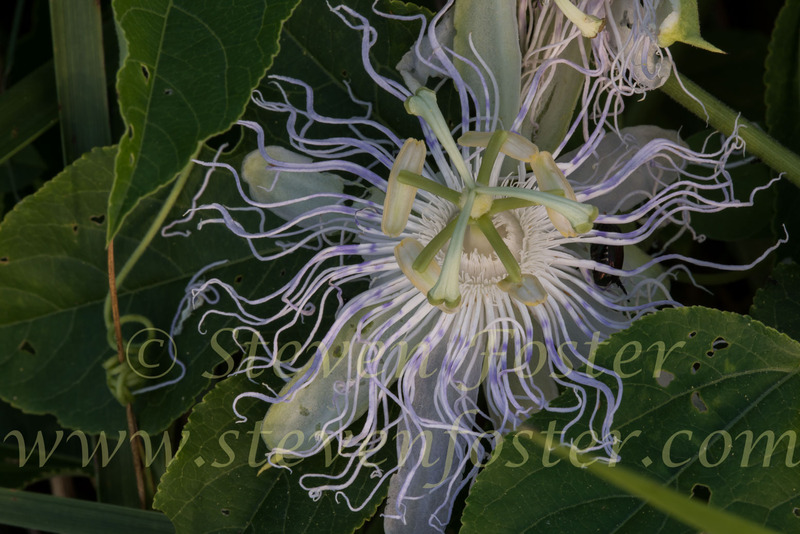 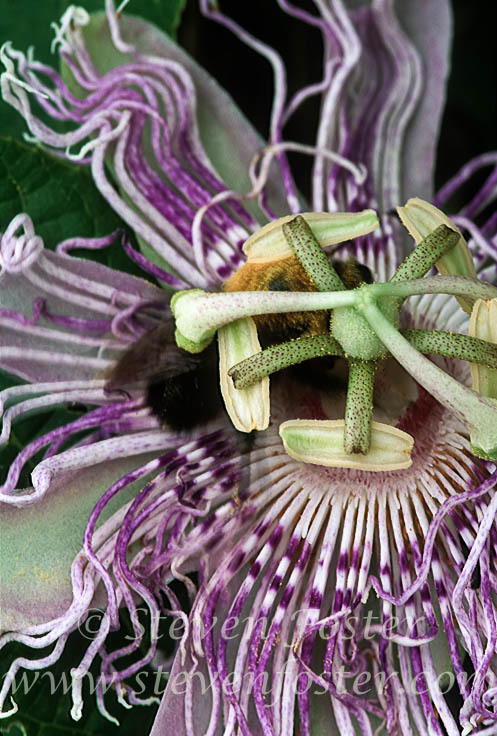 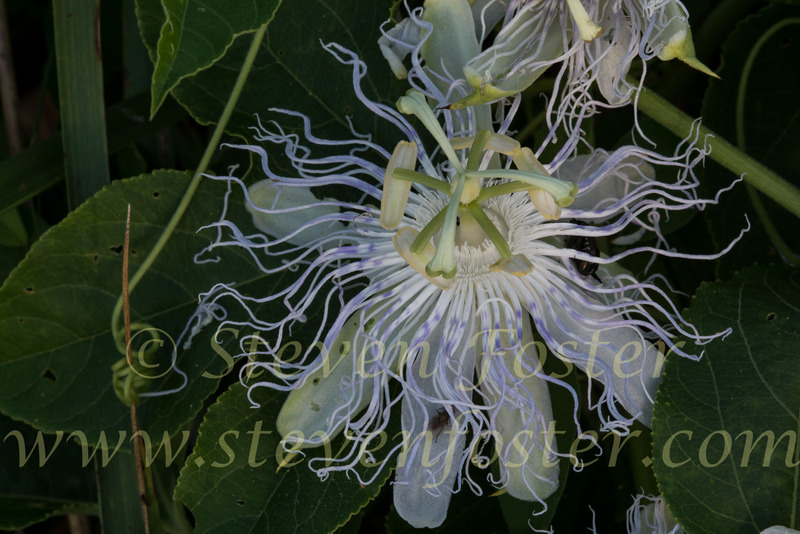 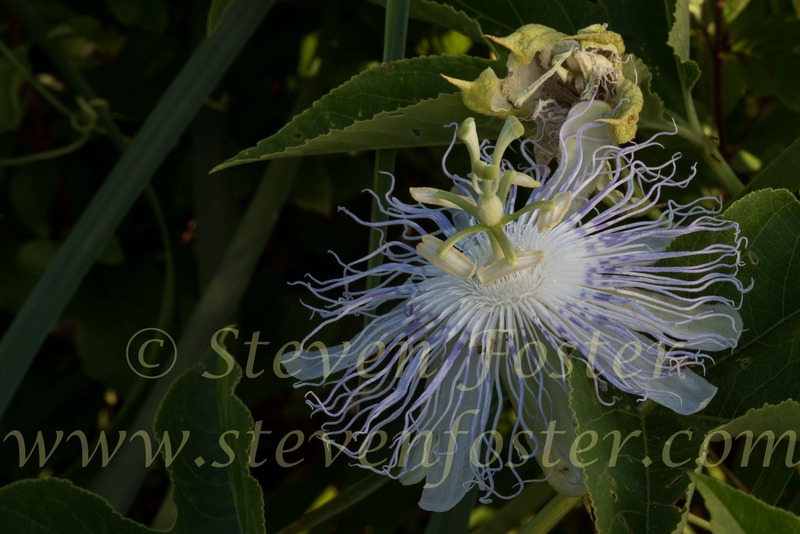 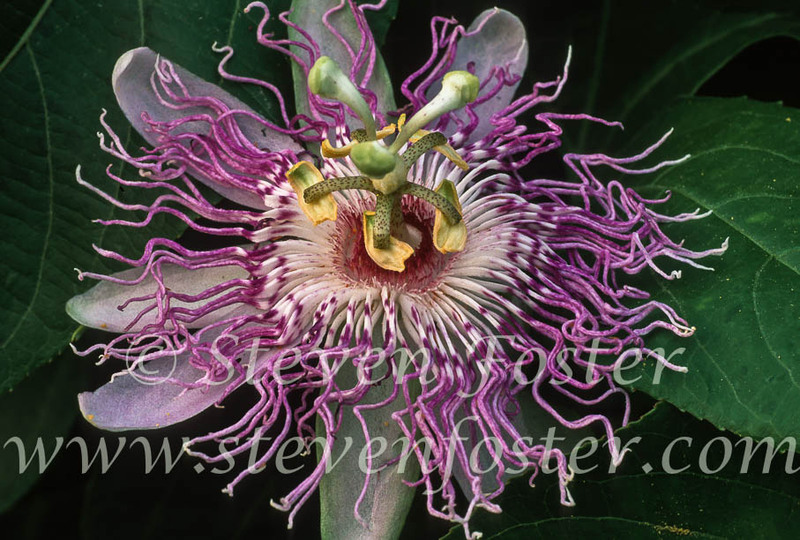 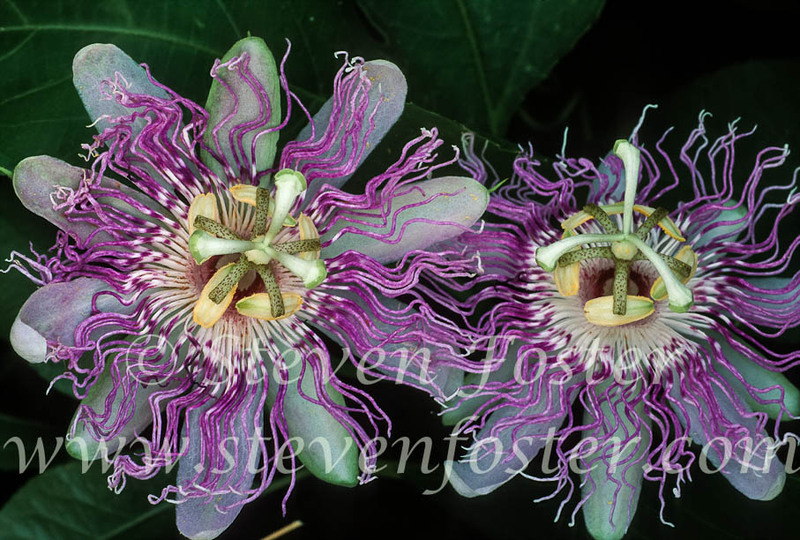 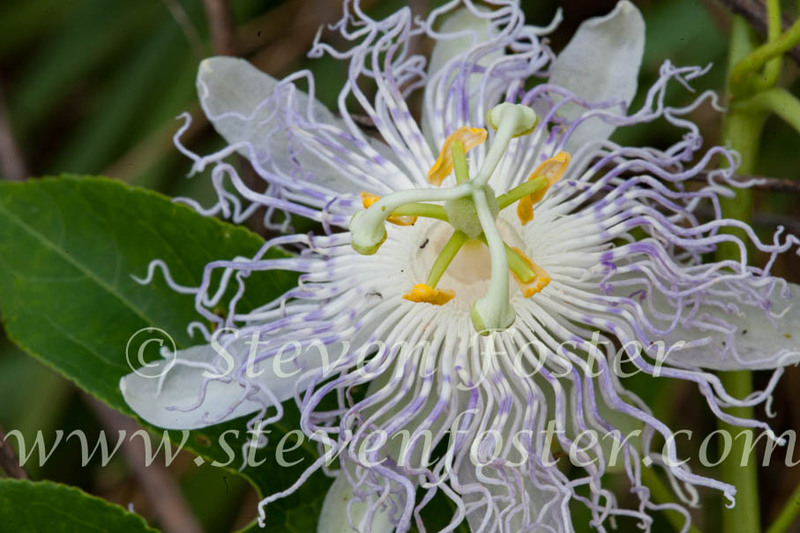 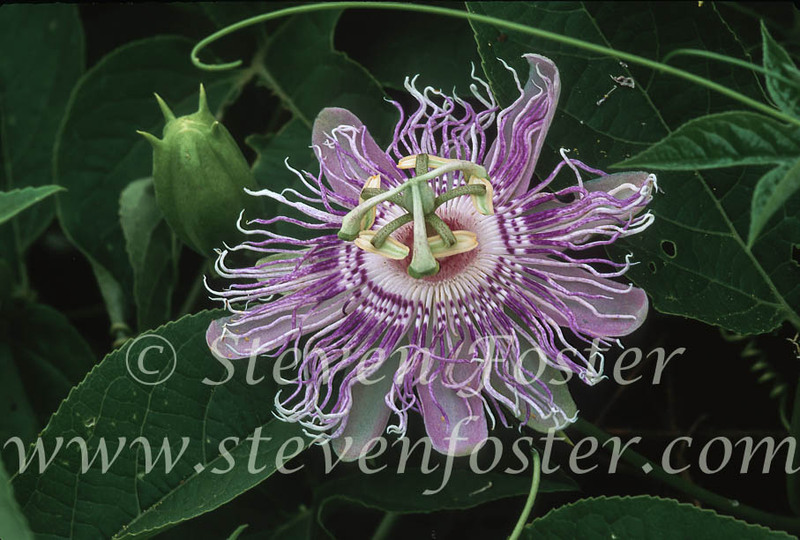 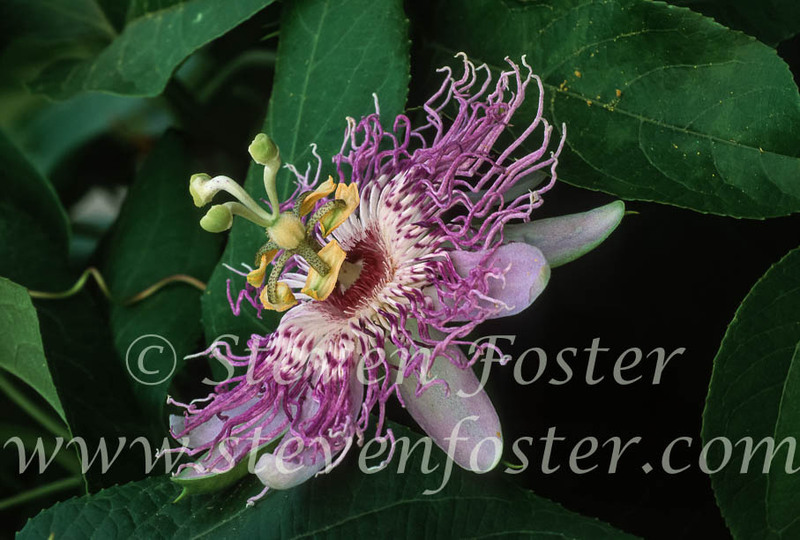 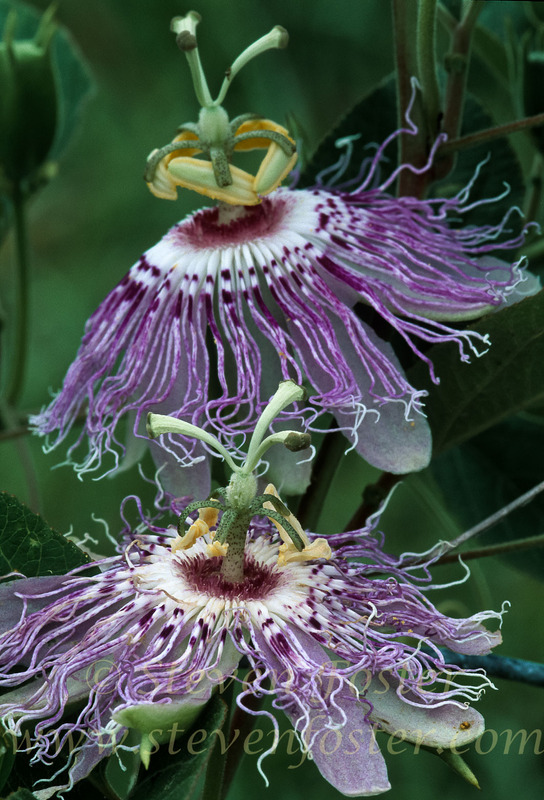 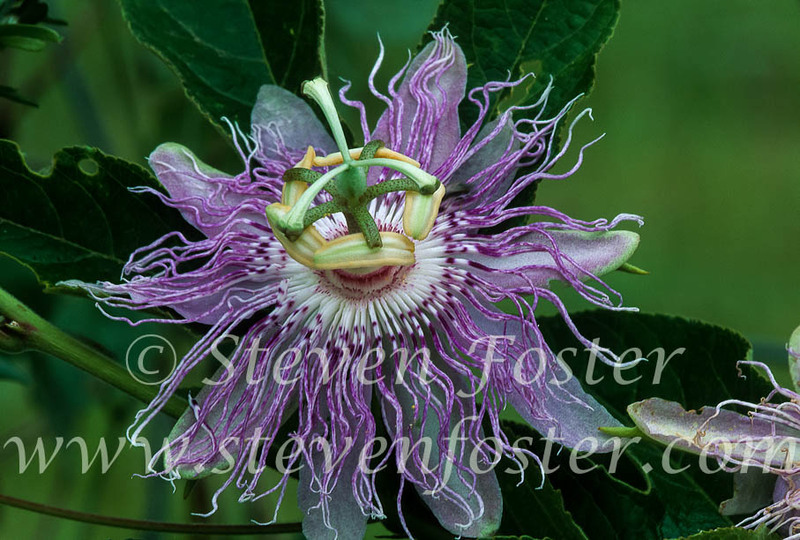 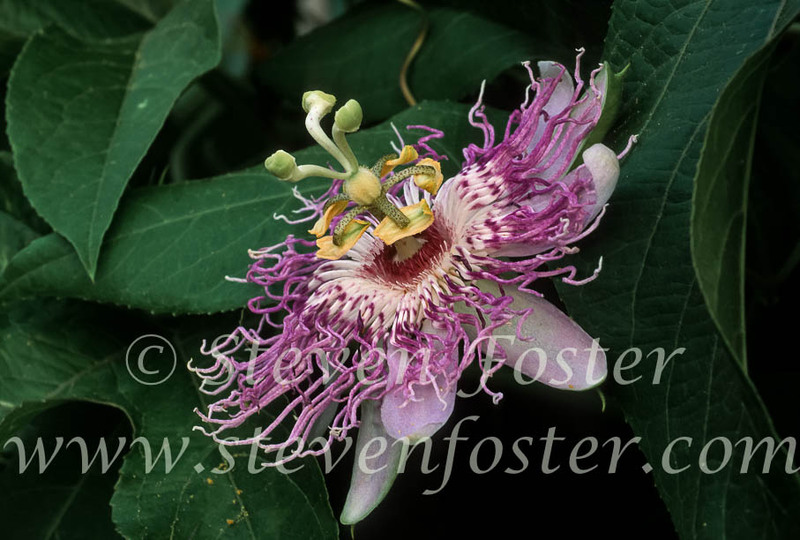 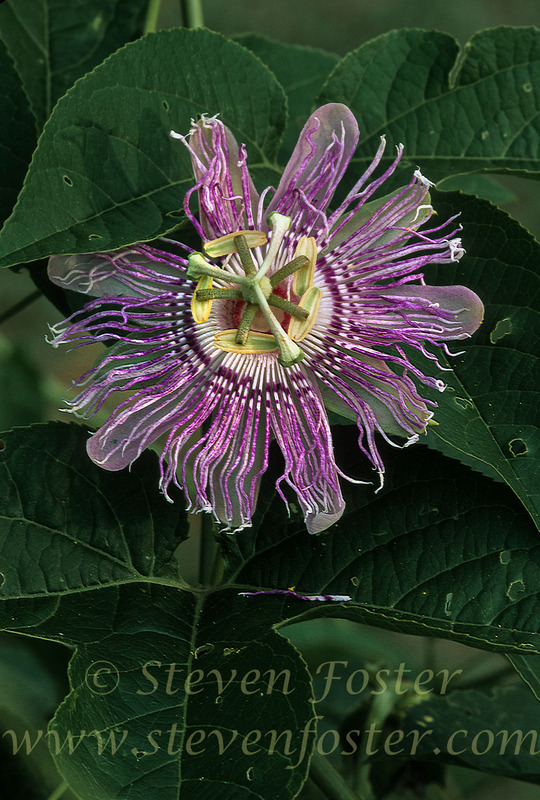 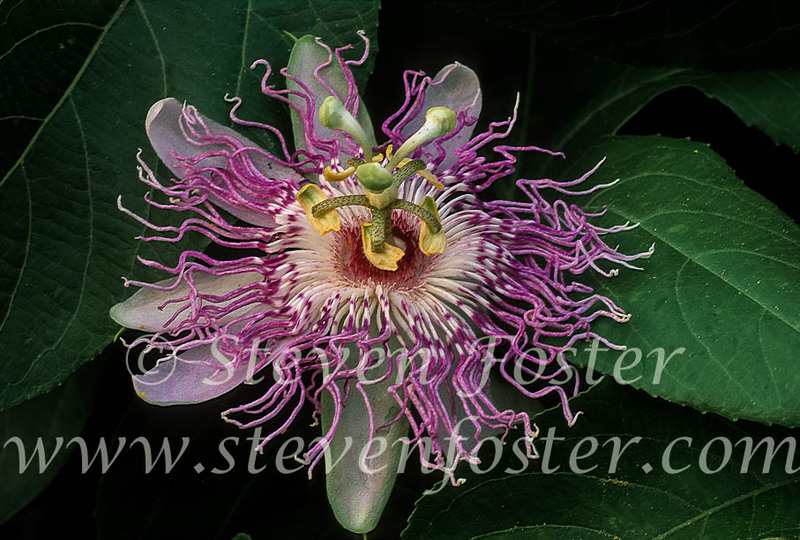 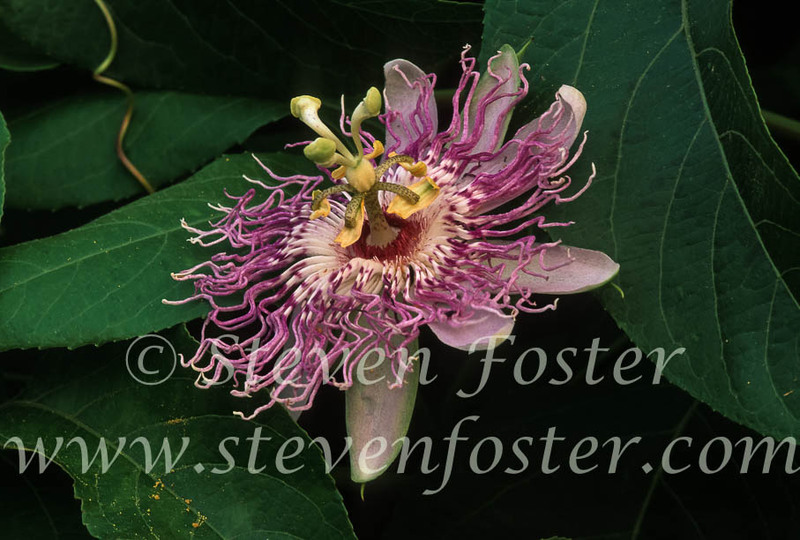 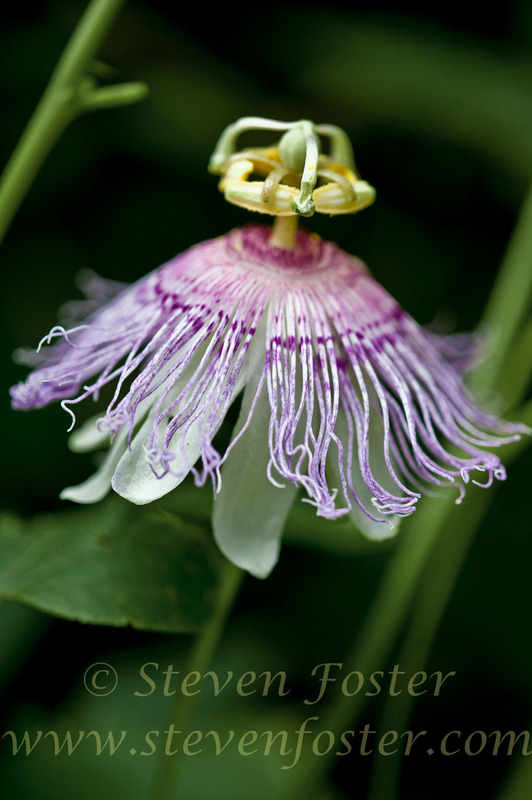 Photos of Passiflora incarnata, Passionflower, Passion flower, Maypop, Purple Passionflower. 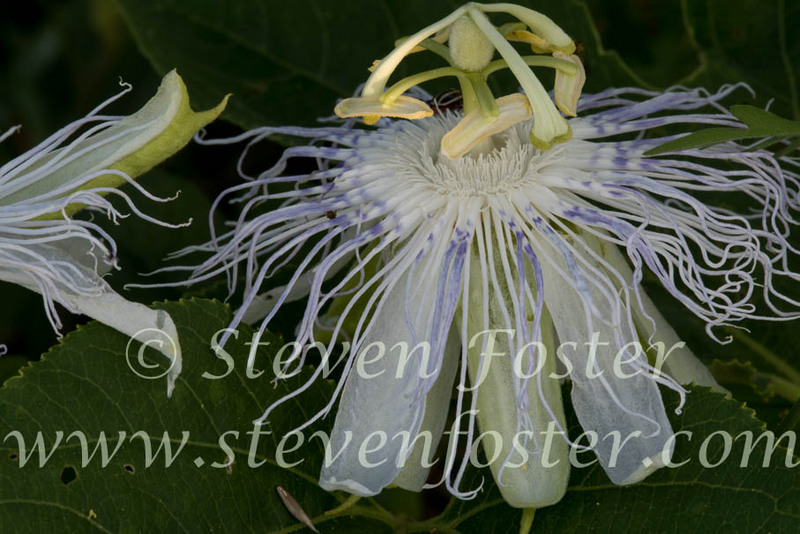 Passiflora incarnata, Passionflower, or Maypop. 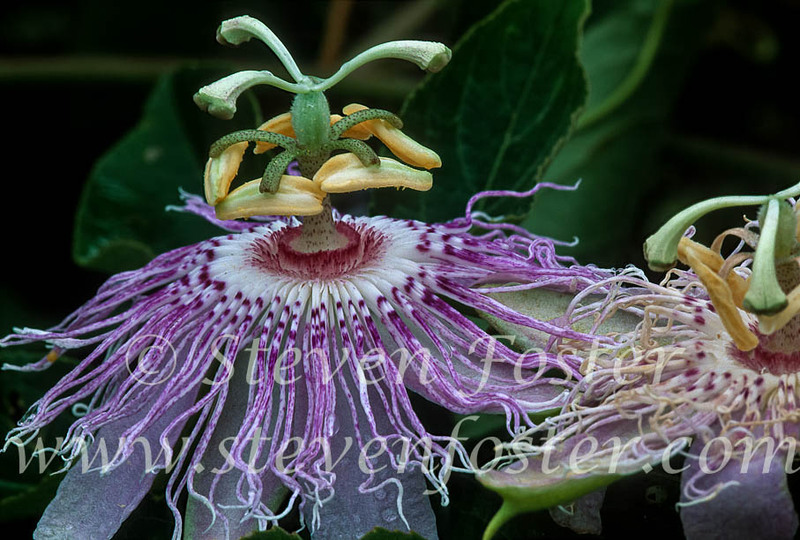 Passionflower is variously a wildflower, weed, ornamental perennial, delectable edible, and medicinal herb. 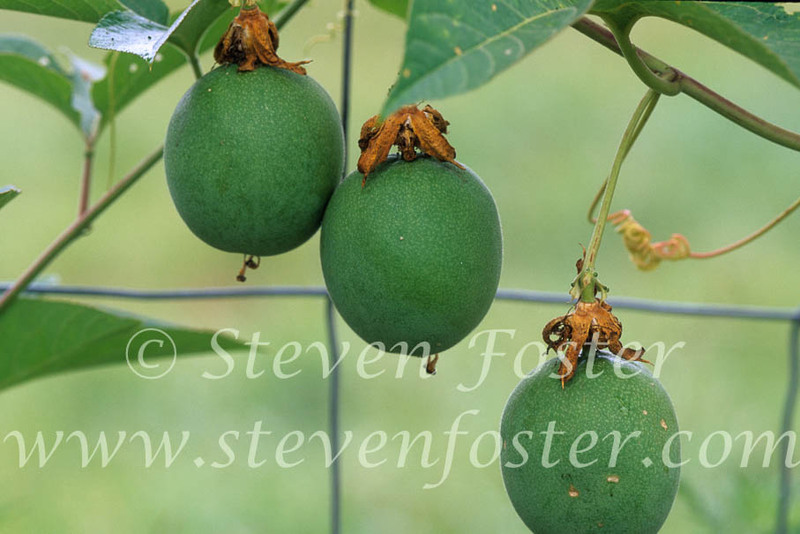 The fruits, "maypops", are edible. 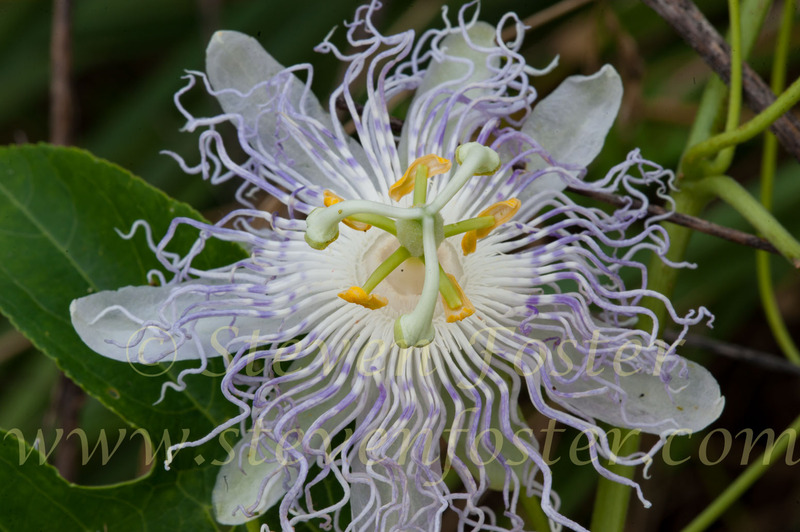 The whole above ground plant and its preparations are considered a mild nerve sedative and sleep aid. 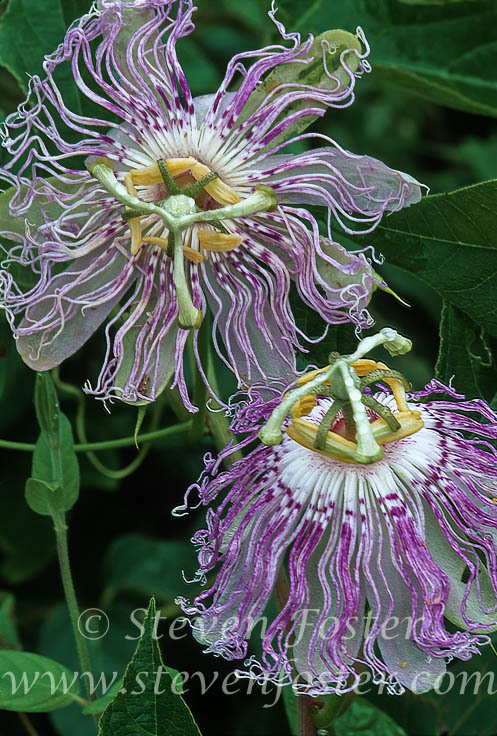 When tension, restlessness and irritability result in difficulty in falling asleep, passionflower is an herbal remedy of choice.